All the wine experts have spent the last couple of weeks telling wine lovers which wines to choose for Thanksgiving Dinner. With the variety of foods served and the differences in our guests, my simple recommendation is choose your favorite wines. Whether your taste is red, white, or rosé, enjoying the wine is more important than obeying someone’s rules. For those who would like a suggestion, a nice dry, or semi-dry Gewürztraminer or a Beaujolais Nouveau will enhance the flavors of that Thanksgiving turkey. For dessert, a nice sparkling wine will pair well with those favorite pumpkin and pecan pies. For the adventurous wine lovers, many wineries, including those in Kentucky, make a semi-sweet Cranberry during the fall that is really good. Brown County Winery in Nashville, Indiana makes a delicious, tart Cranberry Apple. As you gather together with family and friends, enjoy the food, the wine and the time spent with loved ones. Remember to be thankful and take time to relax. 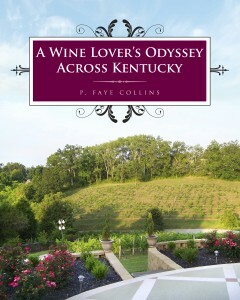 Happy Thanksgiving from the Kentucky Wine Lover!